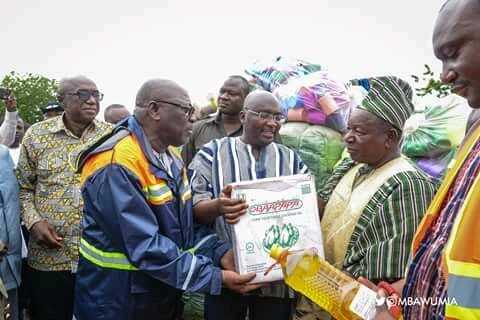 Vice President Alhaji Dr Mahamudu Bawumia visited the Upper West Region a couple of days ago to support flood victims with some relief items. The relief items amongst other things included mattresses, rice, cooking oil,rubber buckets and sachet water. 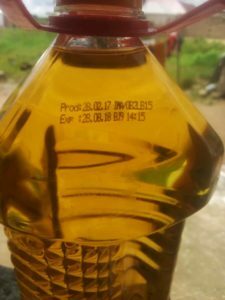 Home Radio investigative team discovered that the OBAAPAPA cooking oil that was distributed had expired closed to a month before it was sent down to Wa. The production date on the bottle indicates 28th February, 2017 and the expiring date is 28th August, 2018. Many of the affected flood victims have already used some of the expired Obaapapa cooking oil without knowing. A Hajia at Mangu, a suburb of Wa who has already used one bottle of the oil said she was not aware and would have continued to use the expired oil in cooking if her attention was not drawn to the fact that the cooking oil was not good. Home Radio inside sources reveal that the Food and Drugs Authority attention has been drawn to this expired cooking oil but nothing has been heared from them. In the end it’s the health of the people that is at stake. It’s surprising how the vice president’s attention was not drawn to this potential health hazard. September 25, 2018 in Business.